As you’re basting the turkey, assembling the casserole, and rolling out the pie crust, it suddenly hits you: What’s the baby going to eat for Thanksgiving dinner? Though cooking a feast for family and friends is fun, there’s no denying it’s time-consuming—and shopping for more ingredients and prepping a second meal would have many Thanksgiving chefs reaching for the Merlot. Thankfully, cooking a feast for the youngest family member doesn’t have to be a chore. Babies don’t need the added sugar, flour, and dairy present in many holiday favorites, but with only a little planning, you can give traditional recipes a baby-friendly makeover. 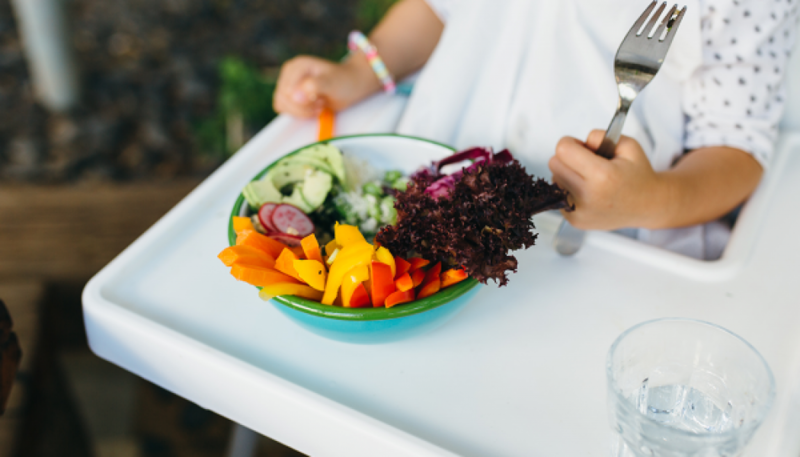 Depending on the baby’s age, this may be as simple as dicing, pureeing, or prepping simple wholesome dishes inspired by your current menu. As your family and friends come together for fun, football, and food, you can feel good about making sure everyone enjoys the Thanksgiving meal—even if some of it ends up smeared on a bib or finger-painted on a high chair. Cooked turkey can be a great finger food for toddlers who are starting to hone their fine motor skills. Simply dice roasted turkey into bite-size pieces and serve. Traditional sweet potato casserole can be loaded with sugar and eggs, which aren’t great for babies. Instead, bake an extra sweet potato, puree it, and mix in a little breastmilk or water to reach a creamy consistency. You can even add some cinnamon or nutmeg to give baby an extra kick of flavor. For older babies, bake the sweet potato, cool, peel, and dice into bite-size pieces. Sprinkle with cinnamon. Casseroles tend to be loaded with butter and sugar, which babies don’t need. But an easy fix is to reserve some of the cooked green beans and make a simple green bean puree. Add water as needed to reach a smooth consistency. Butternut squash is very mild and slightly sweet. 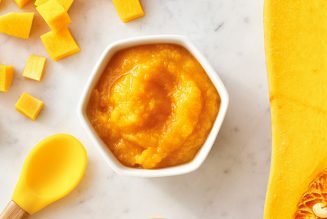 Butternut squash au gratin is delicious for grown-ups, but a simple butternut squash puree is perfect for babies just starting solids. Honey-glazed carrots are one of my favorite holiday veggies. Unfortunately, honey is a big no-no for infants. Instead, simply wash, peel, and steam some carrots, and puree them. Mix in a little water or breastmilk to reach a thin consistency. For baby-led weaning, just chop carrots into bite-size pieces and steam. 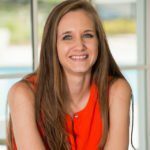 Emily Forsythe is the owner of Dixie Fresh, Birmingham’s first baby food delivery service. 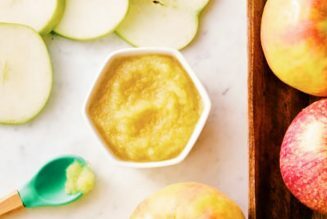 Dixie Fresh offers organic fruit and veggie purees for babies, applesauce for toddlers, and healthy snacks for the whole family, all made locally and delivered right to your door.